Caring for a puppy means making sure the dog's environment outdoors is a safe place for her to play, exercise and go potty. A puppy needs its owner to provide a safe home full of love and compassion. Outside plants are one thing that can be dangerous to poodles. English ivy, phododendrons, holly, elderberry, poison ivy, oleander, cocoa mulch and wild mushrooms in your yard can be poisonous to your pet. Restrict your dog's garage access if you store chemicals, tools or equipment in there that could injure him. Make sure your yard is pet safe with no sharp objects, holes or tools that could hurt her. Be especially careful if your dog is outside a lot and your lawn is treated with chemicals like herbicides. It's been shown to cause lymphoma in dogs. The chemicals are absorbed through the bottoms of the feet. It's best to have a fenced in yard, then your poodle can be left outside without supervision. If you do have a fence make sure there are no gaps for her to get out or get her head stuck in, no sharp edges she can get cut on, and that the fence is high enough, 4 to 6 feet, so she can't jump over it. Electric fences are a matter of personal choice. Many people feel it's cruel to install one. Your pet wears a special collar. A wire is buried in the ground and sets boundaries around the yard. 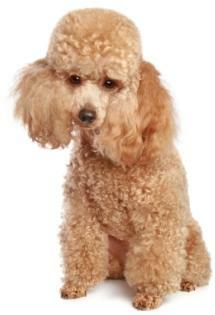 When your poodle gets near the boundary he'll hear a sound. If he ignores the sound and proceeds on, he gets shocked. Cruel? Probably. Keep in mind that the electric fence only keeps your dog in. People and other animals can come into the yard. Your dog needs to be trained if you install an electric fence so she learns boundaries. 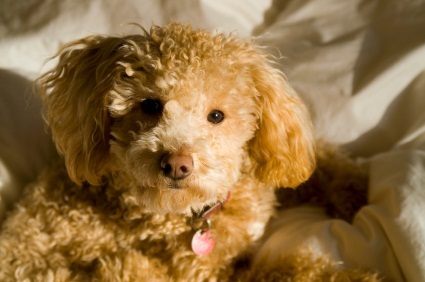 Maintain a safe and dog friendly outside area so your poodle can be outside without any worry of danger. It gives pet owners peace of mind while protecting the poodle and creating a space for her to relax in.